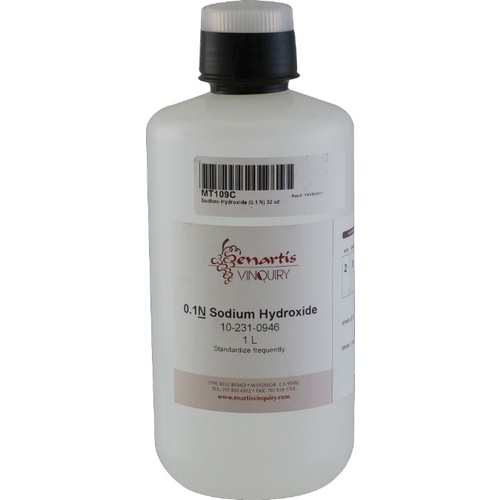 Replacement Sodium Hydroxide for the MoreWine! Acid Test Kit (W501) or any other acid test kit which uses 0.1N Sodium Hydroxide. Please Note: This Sodium Hydroxide is 10x stronger than the MT110 product that is used with our MT140 Aeration Oxidation SO2 Test Kit. They are not interchangeable.